1. Use WhatsScan+ for Whatsweb Chat app PRO in your mobile. 2. Dual WhatsApp in your phone at same time, same place. 3. If your WhatsApp is at home, you can use it anywhere in the world. 4. 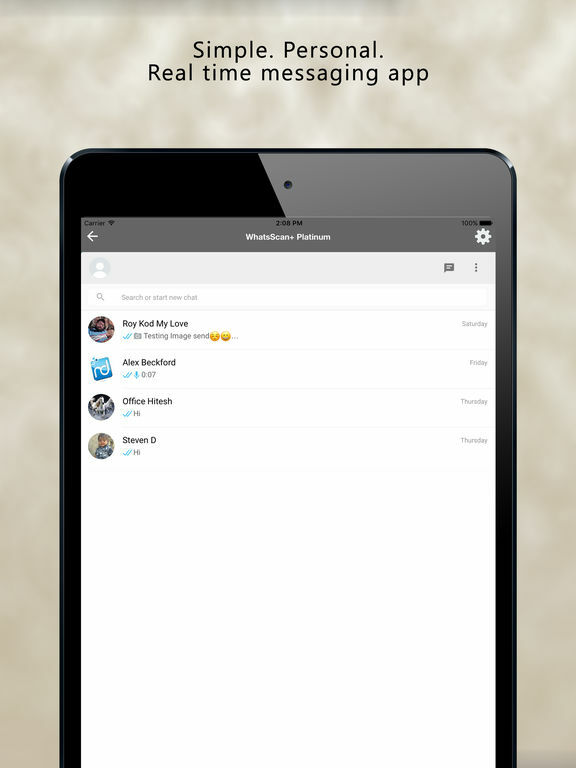 Full access to contacts, chats, chat history, messages, photos and files on multiple devices. 5. Easy to use and do not want any technical details. 6. Works on every device. 7. 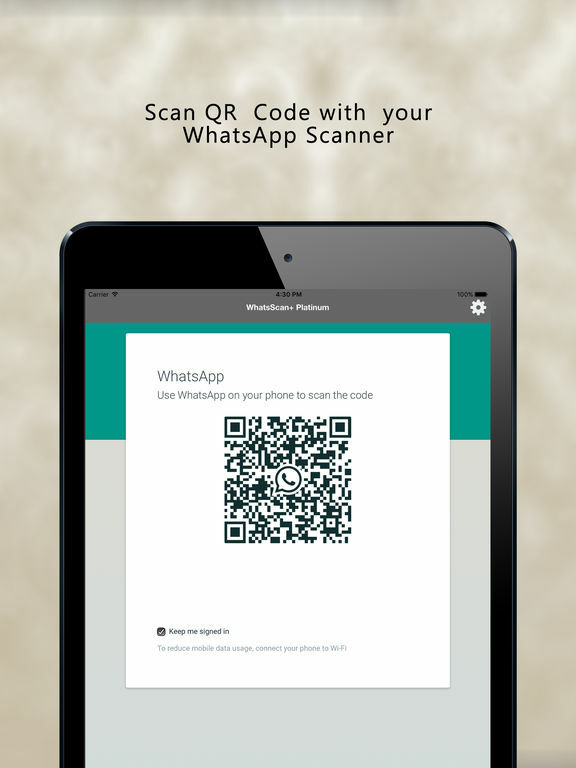 You can use WhatsScan+ for Whatsweb Chat app PRO on iPhone & iPad devices and get full access to all features. – logout from WhatsScan+ for Whatsweb Chat app PRO. 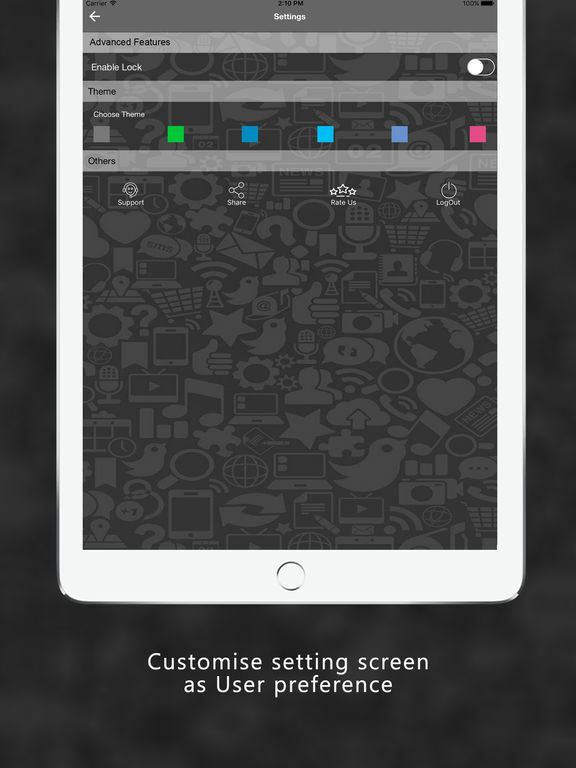 – Share Image , Video , Document easily. – Share Contact information as like WhatsApp real app. – User Interface is Good. 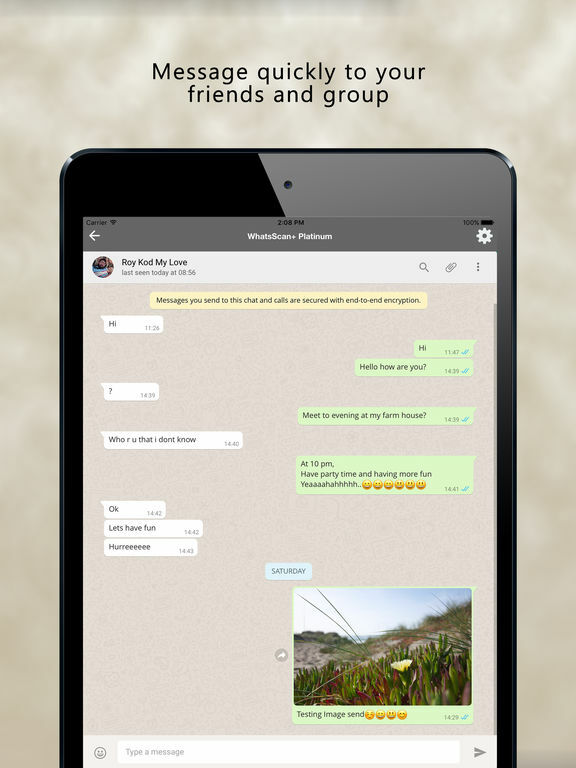 ** Enjoy WhatsApp on your revolutionary iPad securely !~! ≈ in iPhone – it offers another account of WhatsApp other than original WhatsApp app’s account with LOCK ! *Please Email Suggestions and Bugs!. Note : WhatsScan+ for Whatsweb Chat app PRO is created by us, and it not an official WhatsApp application and not associated with WhatsApp Inc.